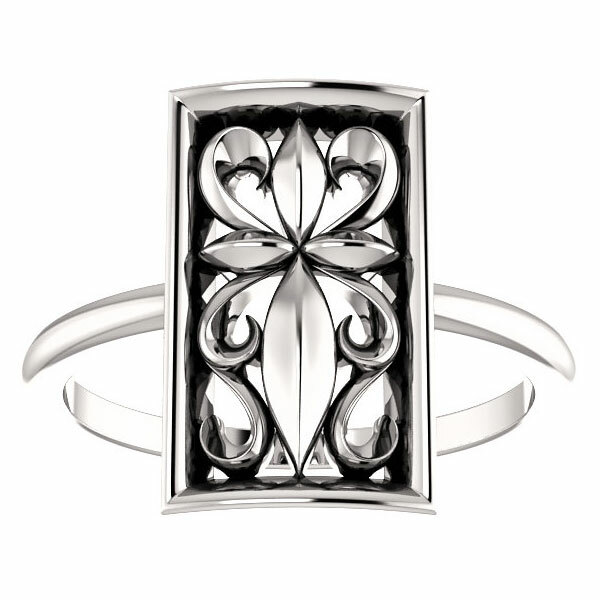 Vintage-inspired paisley cross ring crafted in pure .925 sterling silver, from Apples of Gold Jewelry. 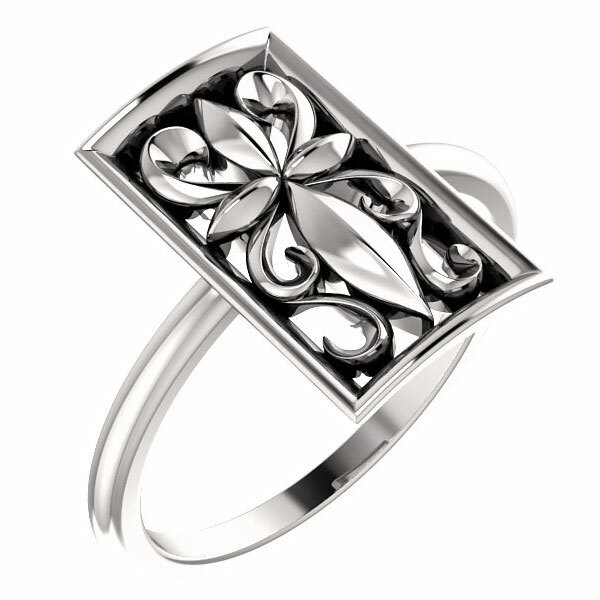 The bold rectangular-shaped ring has a polished cross in the center with paisley swirl patterns around the cross. 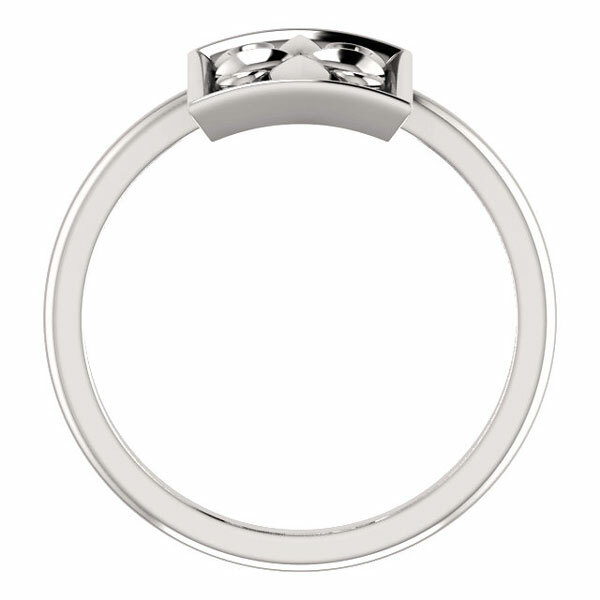 Top dimensions of the ring is just under 5/8" and the band measures 1.7mm wide. The ring weighs approx. 3.14 grams of .925 sterling silver. We guarantee our Vintage-Inspired Paisley Cross Ring in Sterling Silver to be high quality, authentic jewelry, as described above.